As a teacher, I'm passionate about empowering the individual and about immediate application of the subject matter. Whether I’m teaching public speaking, acting, or theatre history, I believe it is my job to give students a relevant foundation so they can make connections and apply the concepts to their own lives. I also believe in empowering students to explore and appreciate the uniqueness of the tools they come to the table with. I use my professional experience to bridge the gap between the classroom and real life. It is my goal to structure the discovery process in such a way that students may continue to evolve long after they leave my class. I achieve this by facilitating a collaborative environment that encourages playfulness, questioning, discussion, and debate. I create a space where students feel safe. Students feel responsible to both their peers and me to bring thoughtful work to the table. When I introduce new approaches or information, I immediately ask students to share prior understanding and I work to build from that point. For example, I might build up to a discussion of character tactics by first asking students to improvise a negotiation scene between a teenager and a parent. We would follow that game with a discussion about what the audience saw happening vs what the actors felt happening. With this real-life context established, I would then add in the vocabulary word “tactics.” Once real-life relevance is established, it’s time to play - we explore physical exercises that place the tactics within our bodies. We explore improvisation exercises that pair our bodies with words and specific scenarios. I even believe in improvisation and play after we have moved on to scripted material. A student who has completed a theatre performance class with me will understand how breath and impulse are connected within his own body. He will have tools for remaining present, tools for sensing and reacting to the people, architecture, and sounds in the room. This student will be able to identify and begin to embody character traits from characters within plays. A student who has completed a theatre history class with me will understand how to see a play both within the context of its origination and within the context of our current year. She might even be able to improvise or write scenes based on the play as an investigation into the character relationships. All students will understand that they have creative, generative potential. I constantly work to make my course more relevant. I adjust assignments based on the result I want to see in my students. 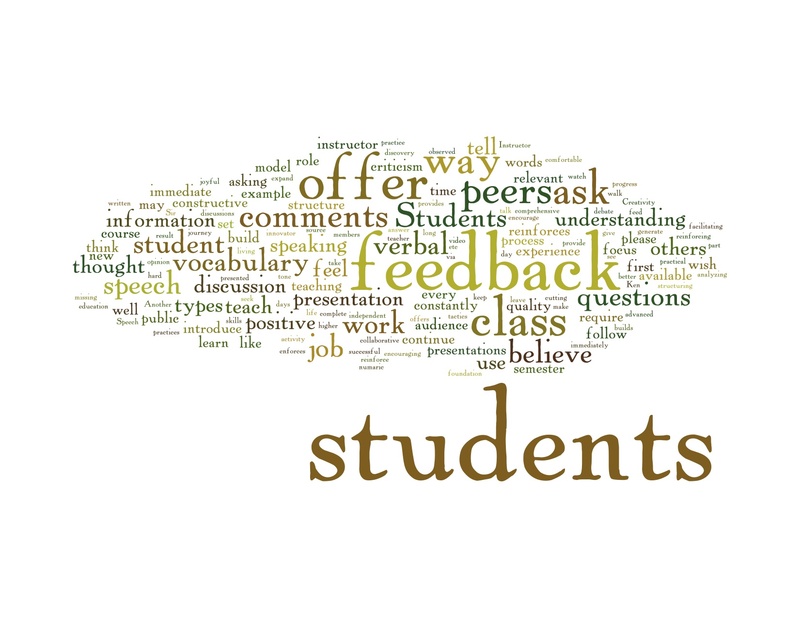 I ask students to complete an anonymous survey at the conclusion of every semester where they answer targeted questions. I am constantly reading about cutting edge teaching practices, theatre, presentation development, and leadership. My greatest quality is that I am an innovator, and I feed on the quest for the successful outcome. The journey is joyful.